Alaska Day, 1906. Alaska and Polar Regions Collections, Elmer E. Rasmuson Library, University of Alaska Fairbanks. public fireworks for fear of fire and local merchants agreed not to sell them — but the youngsters had still managed to get firecrackers. And with railroad tunneling occurring, other explosives were not impossible to obtain. 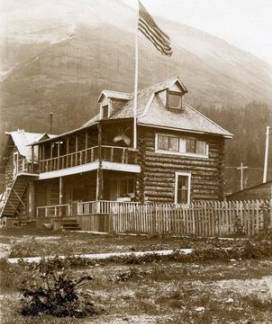 Moore’s Hall in Seward circa 1906 with Lowell Mountain the background, which later was named Mount Marathon. Photo courtesy of RBHS. The Rev. L.H. Pederson, , assumed chairmanship of the entire celebration. He organized the October evening wisely with songs, recitations and children’s flag drills to avoid potential boredom from the occasionally long-winded, jingoistic speakers. He made sure the latter would smoothly slip into slots between the more captivating entertainment — perhaps wondering how they could compete with the cute marching youngsters and humorous recitations. 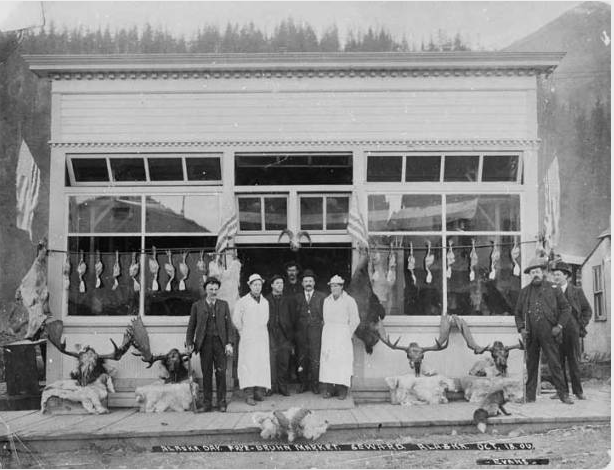 The Pedersen family in Seward. The Rev. Louis H. Pedersen is sitting a the far left. 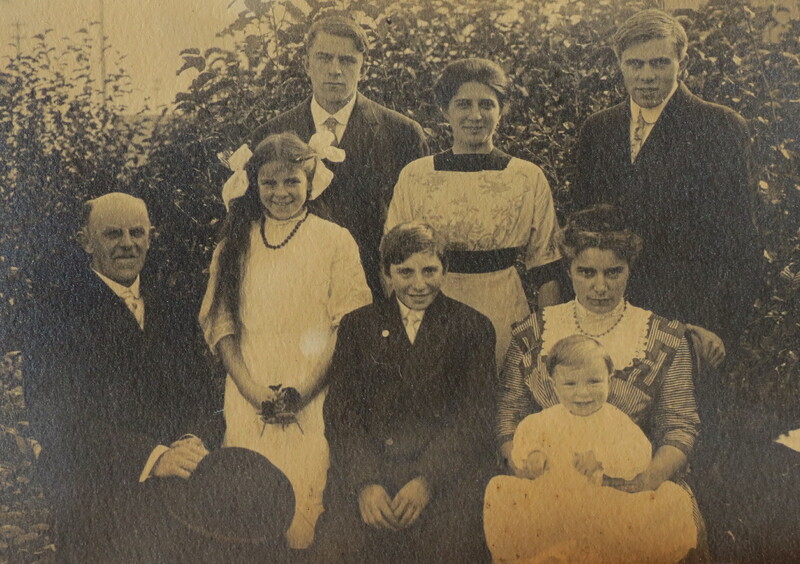 His wife, Francis is at far right. The evening of October 18, 1906 at Moore’s Hall in Seward began with a singing of “The Star Spangled Banner” followed by trio of “In Old Madrid” and then John Greenleaf Whittier’s poem, “Barbara Frietchie,” set to music. The town’s children performed flag drills. After a piano solo and a reading of “Our Pilgrim Fathers,” the miners present especially enjoyed a parody of Hamlet’s “To be or not to be” speech called “The Prospector’s Soliloquy.” To remind everyone why they had all gathered that evening, Cecil Clegg read selections from the Treaty of Cession from Russia to the United States. Dr. C.H. Gibbons spoke of Alaska’s natural attractions and resources – and introduced a theme that would highlight future Alaska Day celebrations – the “neglect and tyranny” the territory suffered from the federal government. Judge L.S. Howlett, a newcomer and the evening’s main speaker, lightened things up. He spoke humorously about the fascination of Alaska life from a cheechako’s point of view, and promised to become a sourdough as rapidly as possible. Following all the music and speeches, the band struck up a tune, and townspeople danced into the early morning hours. 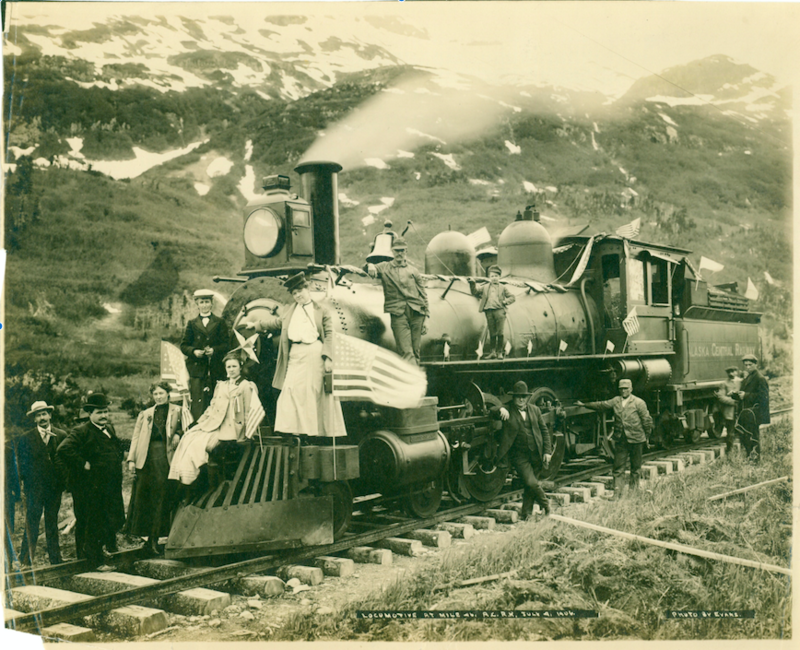 Seward citizens aboard an Alaska Central Railway engine on at about Mile 45 on July 4, 1906. Photo courtesy of the Resurrection Bay Historical Society (RBHS). So went the 1906 Alaska Day celebration. Before the year ended, however, the Seward Gateway noticed an article in the Seattle Post-Intelligencer with an annoying error. That newspaper congratulated Ketchikan as having “inaugurated the plan of celebrating Alaska Day.” The Gateway corrected the error, noting that Ketchikan had, “with commendable good taste, carried out the suggestion” – but the idea had originated in Seward. In the years leading to Alaska’s gaining territorial status in 1912 and for many years after, Alaska Day became a platform to promote the territory and for lobbying against mistreatment by the federal government — a theme that sometimes carries over into today’s politics. Seward is the place where the idea for the event began. This essay is an excerpt from a longer piece; the complete text can be found at The Spaces Between. Doug Capra lives in Seward and is the author of The Spaces Between: Stories from the Kenai Mountains to the Kenai Fjords. His play about Nellie Neal Lawing (aka Alaska Nellie) ran for five summers in Seward. His play in progress about American artist Rockwell Kent in Alaska, And Now the World Again, has had several workshop productions. Capra has written forewords for two of Kent’s books about Alaska and is currently writing a book about the artist called That Infinite and Unfathomable Thing: Rockwell Kent’s Alaska Wilderness.